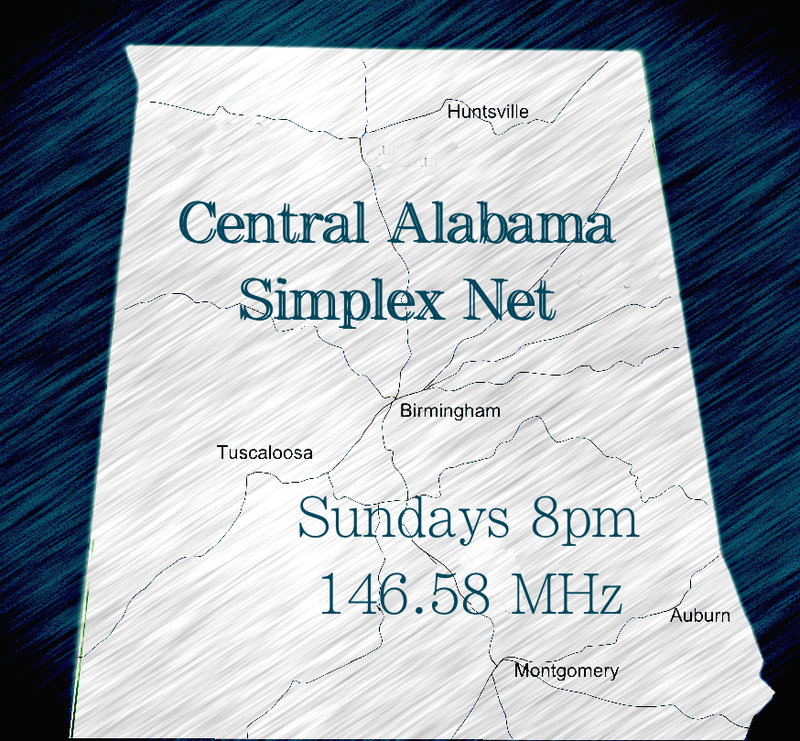 7:00pm: Alabama Emergency Net Alpha, 145.190, (-0.6, PL 156.7, Bald Rock), Linked to 147.02 (+0.6, PL, 156.7, Vandiver), UHF: 444.725 (+5.0, PL 156.7). Now on Echolink. Search for N4BRC-R. I think this site is a great idea . Lots of info for area hams . I like it . Great site. Note a change in the 7:00 pm Calhoun Co. ARES/Races 146.780 has a 100hz tone now.